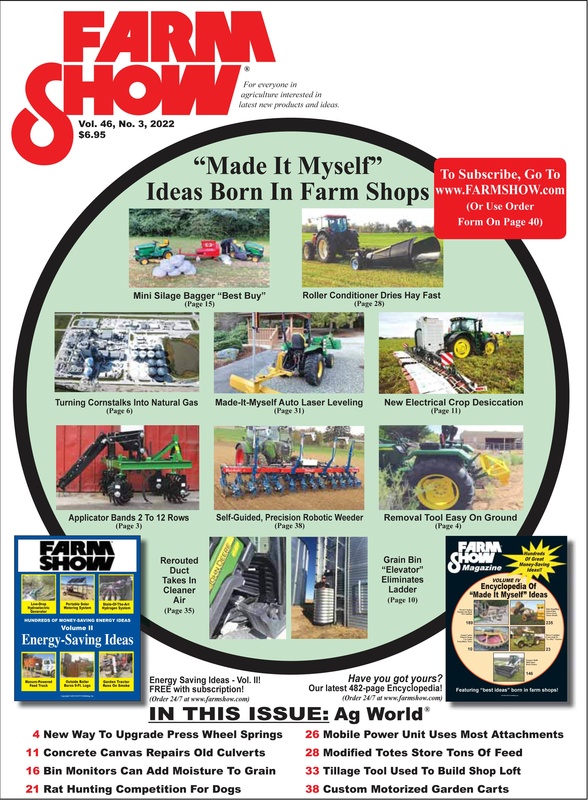 Request a FREE Issue of FARM SHOW Magazine! 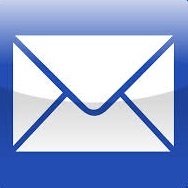 FARM SHOW Magazine » Subscribe » Request a FREE Issue! Tell A Friend To Request Their FREE Issue! Find out for yourself what's inside of an issue of FARM SHOW Magazine, before you subscribe! Simply, fill out the form below and we'll send you a FREE copy of FARM SHOW Magazine to read at your leisure. If you enjoy the magazine and want more, you can easily subscribe online or by simply using the mail-in order form included inside the issue. If you liked what you read and would like a Subscription, we'll also include 1 FREE Book + 2 BONUS eBooks! Money-Making Ideas to Boost Farm Income Vol. IV is absolutely free and will be included with your first issue. 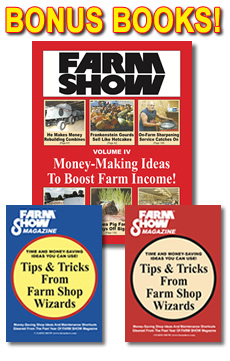 The 2 Bonus eBooks "Tips & Tricks from Farm Shop Wizards" Vol. 1 & 2 are PDFs that will be emailed to you and can be viewed on your phone, laptop or tablet. 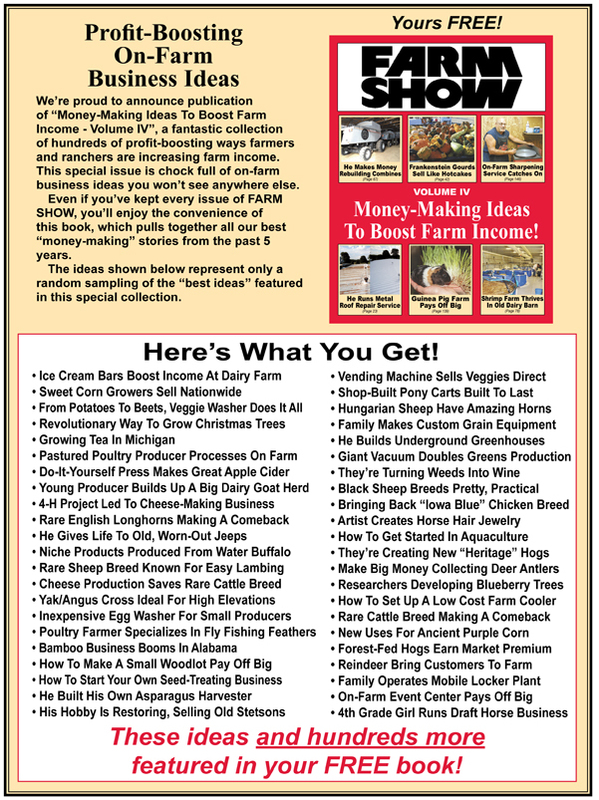 PLUS, when you decide to subscribe, you'll also receive a FREE copy of our 168-page book "Money-Making Ideas to Boost Farm Income", shown at right. To Subscribe to FARM SHOW, click here. New Subscribers ALSO Receive 1 FREE Book + 2 BONUS eBooks!